A branding refresh for an all American company. 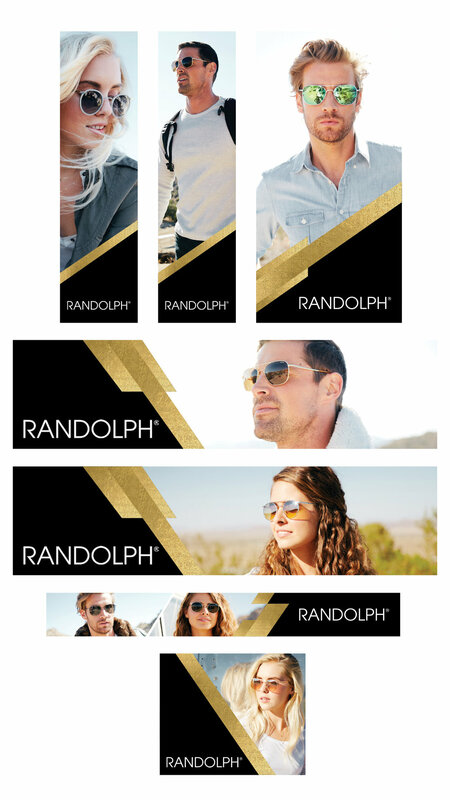 Randolph Eyewear has been handcrafting the finest eyewear with top-grade materials for the military since 1973. In early 2018 they underwent a tremendous rebranding with a fresh new spin on their logo colors, brand image, and messaging to appeal to a new audience outside of their normal scope. What was once a brand mainly targeted toward the military has now become a brand for anyone who expects a better quality and who encompasses the spirit of who they define as "individualists, the singular, the uncommon." Following their rebrand we have been keeping their communications, both digital and print, on-brand and relevant to their newly developed target niche. Email series to promote their exhibit at VEE.